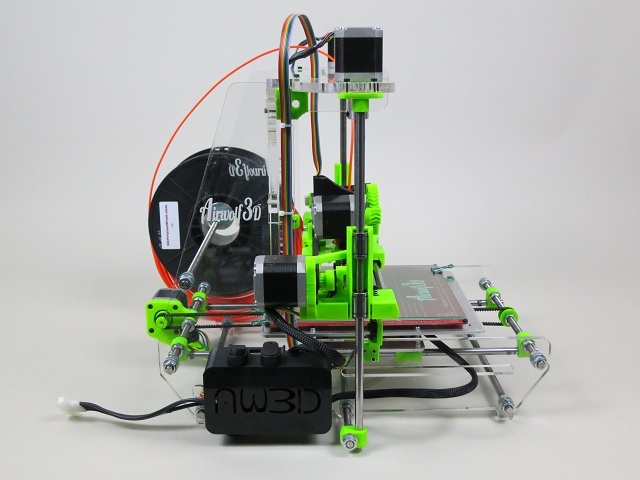 A fully assembled and calibrated Airwolf 3D V5.5 3D printer. 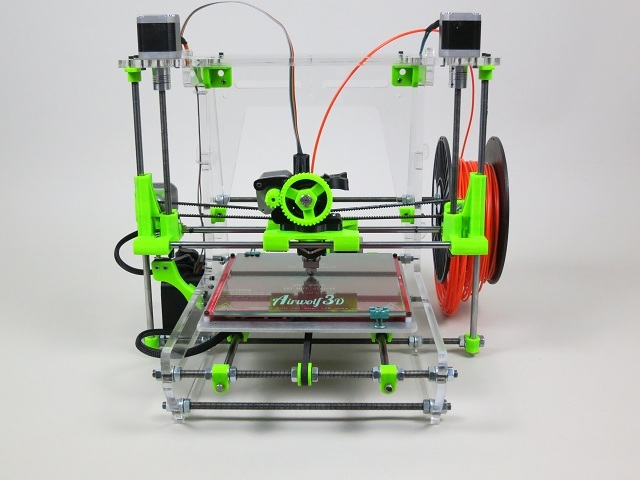 Turn your designs into physical reality with one of the best Open Source 3D printers available. Prints in a range of materials including PLA, ABS, Nylon and Polycarbonate. Here at Printer Playground, we can attest to the quality, reliability and ease-of-use of Airwolf 3D Printers. This updated model (the V5.5) includes many mechanical enhancements to an already excellent design. Pictures do not indicate colors in-stock. Please contact us see which colors are currently available. Custom colors can be requested with some lead time. 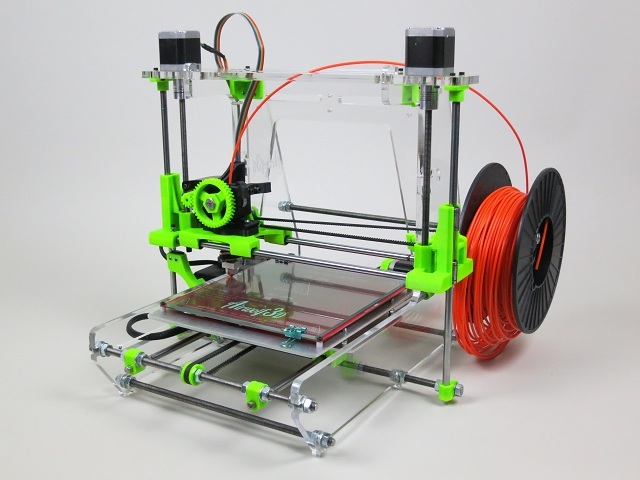 It is one of the fastest, most precise and dependable 3D printer in this price range. Each machine is leveled, fully calibrated and operated for 5-10 hours before shipping out. The nozzle is interchangeable from a standard .50 orifice to a .35 orifice for higher resolution 3D printing. It can print with PLA, ABS and Polycarbonate. Includes a 6 month warranty on parts. Includes phone and email support. 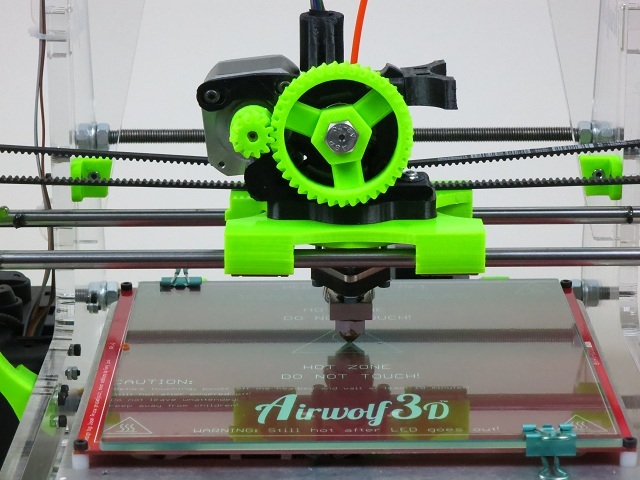 The Airwolf 3D has been customized by a mechanical engineer with 25+ years of hands-on automotive experience. All components are high quality, starting from the machined parts on the hot end down to the perfectly concentric hobbed bolt which feeds the filament to the extruder.